NE Corner SR Loop 202 Santan & Higley Road, Maricopa Counties, AZ - Headquarters West Ltd. 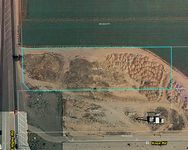 The site is located at the northeast corner of the Loop 202 Santan Freeway and Higley Road. It is currently located in a county island within the planning area of the Town of Gilbert. 79,429.31 square feet or approximately 1.82 acres. The Town of Gilbert has water and sewer lines in Higley Road. Electric lines are to the southern boundary. The site must be annexed to utilize sewer but can utilize water as is. Current zoning is Maricopa County RU-43, 43,000 square foot minimum parcel size. Town of Gilbert General Plan as Regional Commercial. The site is located in Zone X on FEMA FIRM Map No 04013C Panel No 2680H with an effective date of September 30, 2005. Zone X is areas of 0.2% annual chance flood; or areas of 1% annual chance flood with average depths of less than 1 foot or with drainage areas less than 1 square mile; and areas protected by levees from 1% annual chance flood. The site is within Overflight Area 3 for the Williams Gateway Airport, the lowest zone of less than 60 decibles. Per ADOT, the Average Annual Daily Traffic (AADT) counts in 2009 for the SR 202 Santan Freeway from Power Rd to Higley Rd was 34,000 and from Higley Rd to Williams Field Rd was 42,500. Morrison Ranch Master Plan is ½ mile north on Higley Road, to the south is Higley Park, Lyon’s Gate, Agritopia, Cooley Station and Power Ranch. ASU Polytechnic Campus and Phoenix¬Mesa Gateway Airport are two miles east on Power Road and five miles east is the 5,000 acre old GM Proving Grounds. This has been a historically high growth area and should continue to be one of the leading growth areas in the Phoenix Metro area in the future. Don’t miss this chance at a great location. 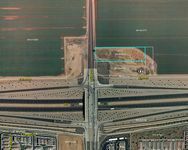 Reduced by 25% to $1,200,000 or $15.11 per square foot. Cash.